Savage Arms 57384: Savage Arms Axis bolt-action centerfire rifle blends affordability with unflinching performance and impressive accuracy. It sports a modern design that includes sleek contours, recoil pad vents and a textured, easy-to-control grip. It's drilled and tapped for scope mounts and offers silky-smooth bolt operation. The Axis II model offers amazing out-of-the-box performance. It's flush with features aimed at delivering tack-driving accuracy on every shot, including the user-adjustable AccuTrigger system, button-rifled barrel, silky smooth bolt action, detachable box magazine and thread-in barrel headspacing. 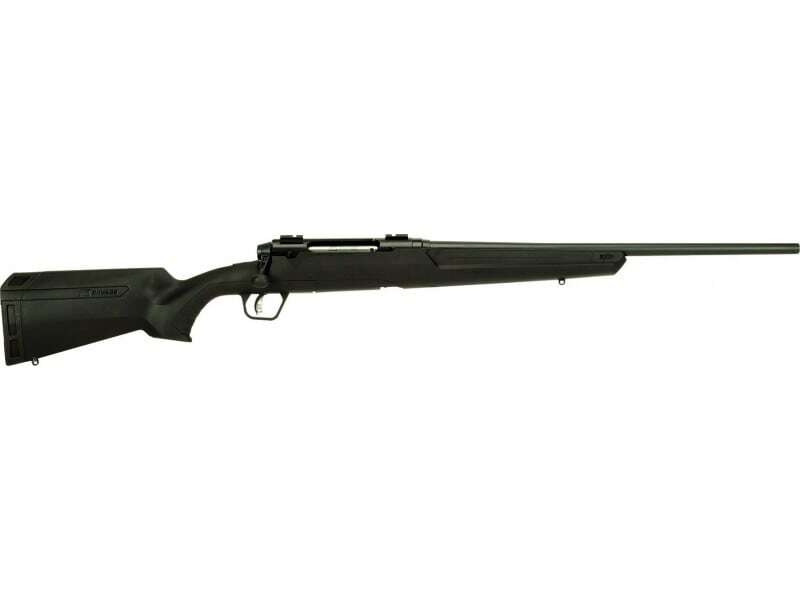 This compact model features a carbon steel 20" barrel and a black synthetic stock.